You have a volunteer that is problematic and you are at the point where you believe you have done everything possible to integrate that volunteer. You’ve examined your personal feelings on the situation and feel that you have removed emotion from the equation and are dealing with the challenge in a logical way. So, now what to do? Well, think of this acronym- Face It: Fit, Attitude, Change Adaptability, and Expectations through Intervention within a Timeline. I know it’s a mouth and mindful but hopefully it will help in remembering how to go about working with challenging volunteers. When integrating a volunteer becomes difficult, use this acronym to see if, after interventions within a timeline, there is improvement. Let’s look at each letter in FACE IT. Fit: How well does the volunteer fit, not only within the organization, but in her role, with other volunteers, and in the mission? Is the job just the wrong fit or does her philosophy not mesh with the organization’s mission? Does her personality clash with all other volunteers and staff? Is she there for some underlying agenda? 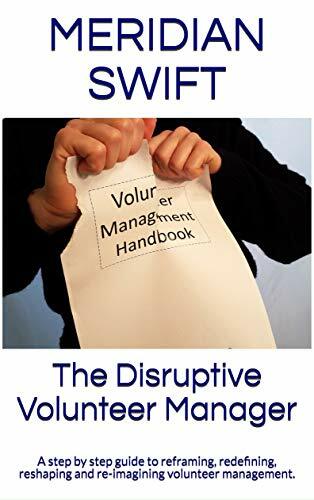 Attitude: Does the volunteer have a troublesome attitude? Does he incessantly complain? Does he undermine? Is he excessively negative? Is he disrespectful to his supervisors and co-workers? Does he feel that he is superior to the tasks and to the mission? Change Adaptability: Is the volunteer able to weather change? Does she dig in her heels when faced with a new policy? Does she refuse to adjust and claims that because it was always done a certain way, you have no right to progress? Does she subvert the mission because she cannot accept new ways and new people? Expectations: Is the volunteer meeting clearly defined expectations? Is he chronically late or a no-show? Does he ignore rules and regulations? Does he do whatever he wants without regard to organizational needs? Does he feel that it is not important to communicate with you? Is he a Lone Ranger, but without the white hat? These are four pillars of excellent volunteering. When one or more pillars become troublesome, an intervention with that volunteer is necessary. Sometimes it’s just life’s stress that causes great volunteers to go off course. 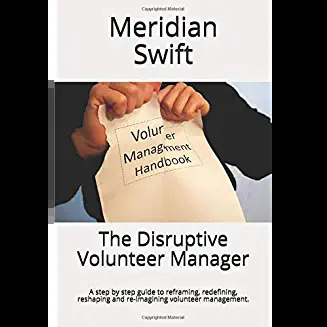 Intervention is never mean but instead, indicates that you notice a change in the volunteer’s behavior and that you respect this volunteer’s contributions and want to help him succeed. But help without clear objectives and timelines is futile, so let’s look at the second word in the acronym and the steps of implementation. 1. Meet with the volunteer to discuss the area(s) that need(s) improvement. 2. Point to your rules and regulations, policies and procedures to illustrate your concerns. 3. Present your evidence, but emphasize your desire to help the volunteer succeed. While note keeping on volunteers may seem underhanded, without details on egregious behavior, your “case” is broad and hearsay. Besides, specifics help a volunteer see the exact behavior that needs improvement. 4. Reiterate your commitment to working with this volunteer and then lay a course for how the volunteer can improve. Timeline: I can’t emphasize this enough-Timelines are critical. How long do we give a volunteer to improve? Having a clear deadline is effective. Having some random phantom goal in the future will doom your intervention every time. 1. Set follow up meetings at intervals to monitor improvement. 2. Make sure you collect evidence of the volunteer’s performance for further steps. 3. Always meet on premise. 4. Have at least one other staff member present. This not only gives you another set of eyes and ears, but limits the “he said, she said” aspect and shows the volunteer that you have the support of the organization. 5. Always leave interventions after asking if the volunteer understands the steps outlined, because if you don’t, that volunteer can easily say that he did not comprehend what was being discussed. Interventions are usually enough to motivate a volunteer to succeed, especially if the volunteer is new (having a clear six month probationary period for all new volunteers helps too). But for the minute number of volunteers who do not improve, a “parting as friends” and a “wishing you well” is in order. Without upfront, clear instruction and expectations, no manager can assume that volunteers know what is expected of them. Rules, job descriptions, termination policies and the steps of intervention must be written and signed by each and every volunteer. Infractions must be recorded and addressed immediately with volunteers. Often, we view ourselves as too nice to point out egregious behavior. But really, we are not being too nice, we are just practicing confrontation avoidance. Instead, the nice thing to do is to help a volunteer excel, not languish, unable to improve, isolated and ostracized by staff and peers. The nice thing to do is to create an atmosphere of excellence, of lofty expectations, of volunteer quality so that your volunteers are proud to contribute and your clients are served by the very best. Yes, I want to be tender and kind, and I will by being strong and resolute.